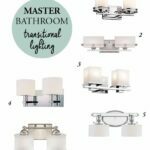 If you’ve been following along with my One Room Challenge, then you know I’m deep in the throws of a huge makeover in our master bathroom. 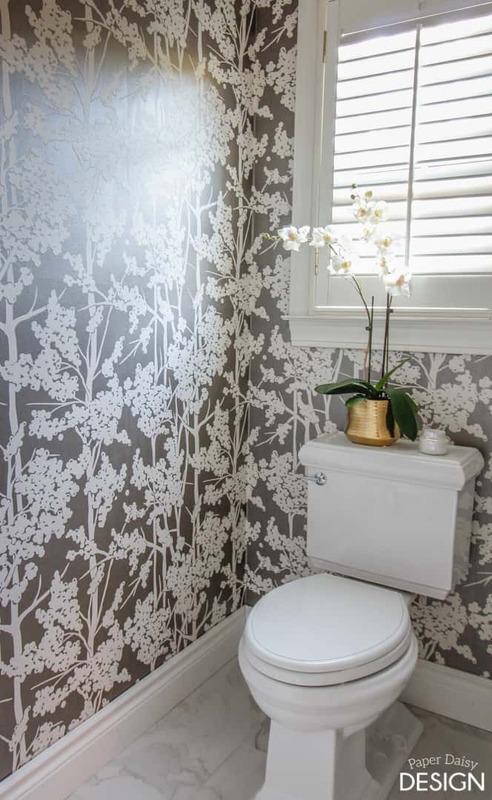 As design solutions go, it’s a bit of a challenge to make a water closet (or toilet room) glamorous. 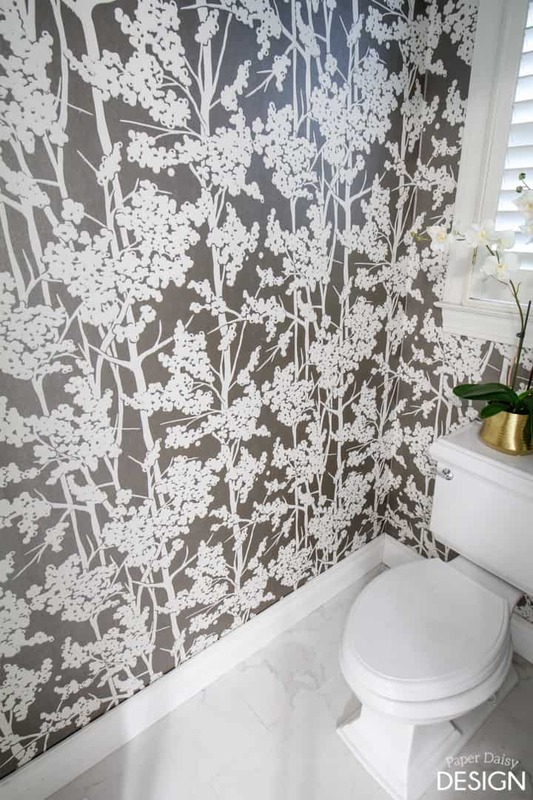 The best way I know to amp up the style in boring space is to add a wallpaper! 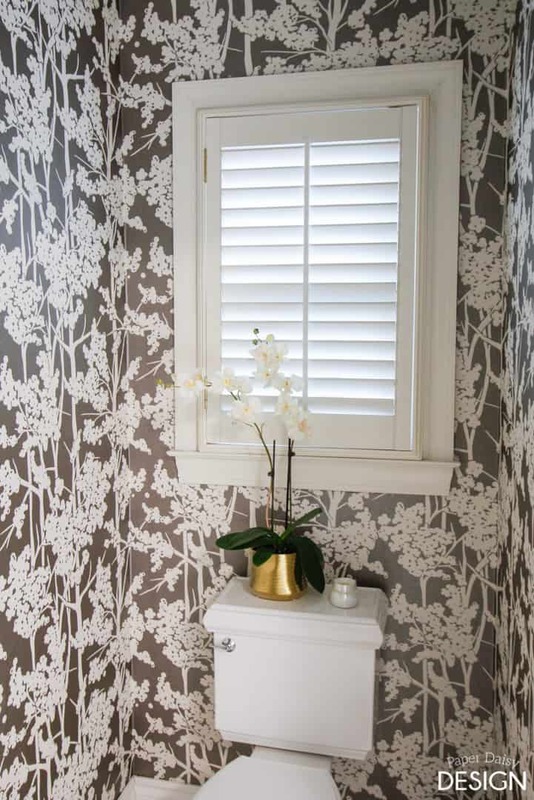 This pattern offers a bold graphic with a soft, subtle, more modern take on a chinoiserie pattern. 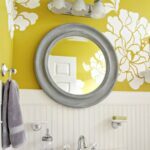 This post is sponsored by Wallpaper Boulevard, an online resource for wallpaper to transform your space. 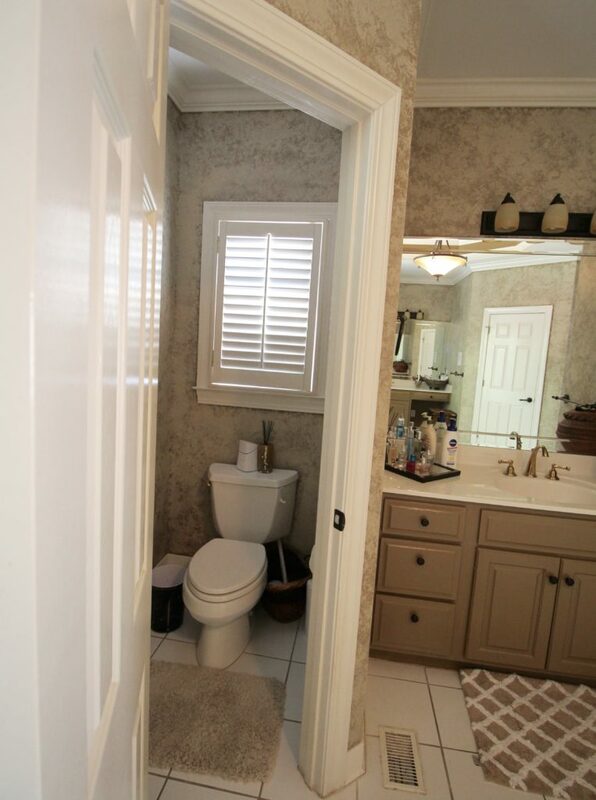 It’s quite the small space and has an angled entry door. So, capturing the full impact of the transformation is a little challenging. Wallpaper Boulevard will gladly send you samples of the wallpapers you are considering to get a feel of the paper and see color ranges in advance and offers impeccable customer service. I loved that the samples were large enough for me to really get a sense of the papers. This design is by Candice Olson for York and it is absolutely stunning. 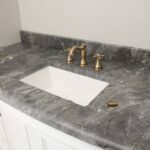 It’s a beautiful shade of what can be best described as metallic taupe. The cream colored tree blossoms are textured giving it a truly organic hand-stamped feel atop the iridescent background. The warm tones in the wallpaper echo the color in the veining of the Calcutta design of the porcelain tile. And for the last bit of bling in this little jewelry box of a space is the flush mounted chandelier. 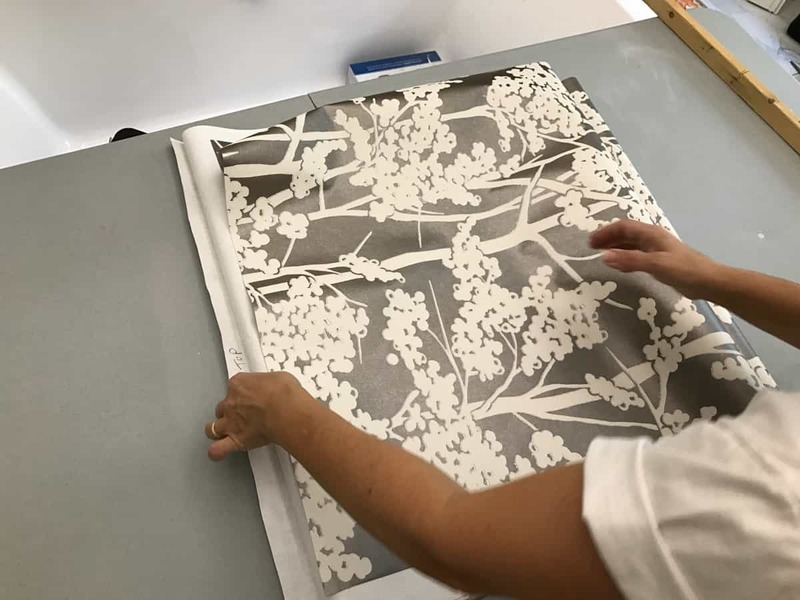 Almost all of the wallpaper, less one drop, was kindly hung by my dear friend Mary. She has hung wallpaper quite a few times in the past and was happy to offer her help. But in such a small room, it is difficult to find space for more than one ladder and one person. So mostly, all I could do was be available to hand her the needed tools. 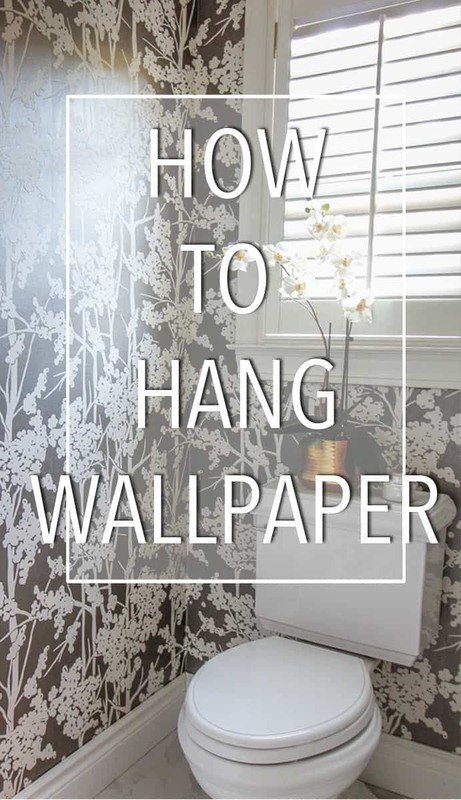 Want to hang removable wallpaper? I’ve got a full tutorial for those specific types of wallpaper here. Here are some of the tools to have on hand. 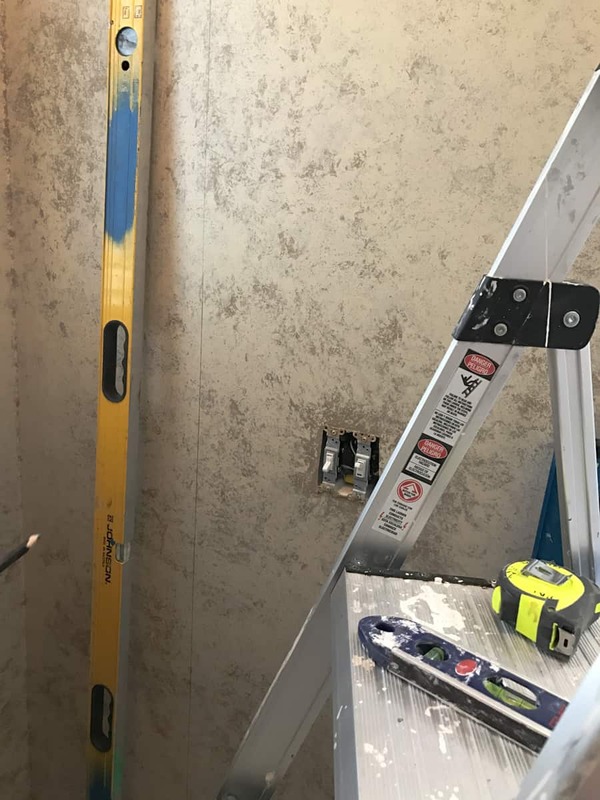 Here are the tips she stressed to me when I was to hang a section on my own. Most importantly start with a level line. 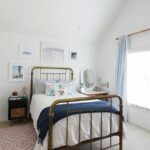 Most rooms, especially small ones, will not be square. Be prepared for the wallpaper to get off level. Either make adjustments in the corners or embrace it. 2. 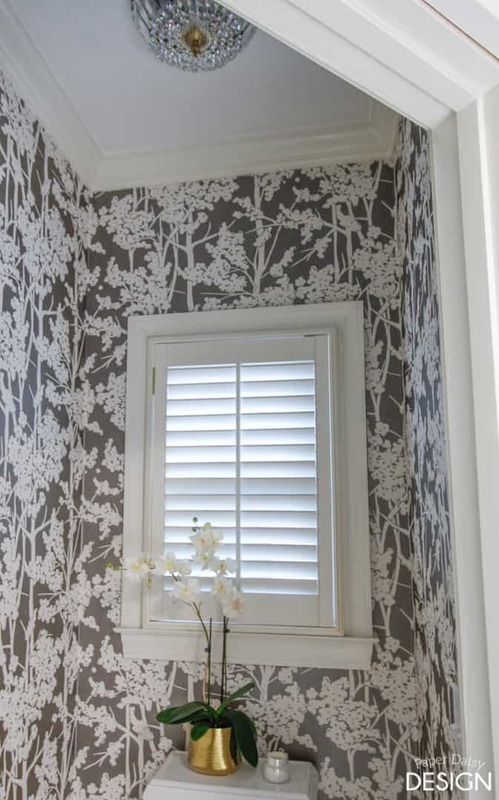 Measure the wall you want to cover and add the amount the pattern repeat, divided between the top and the bottom. This will help if your paper has a drop match. 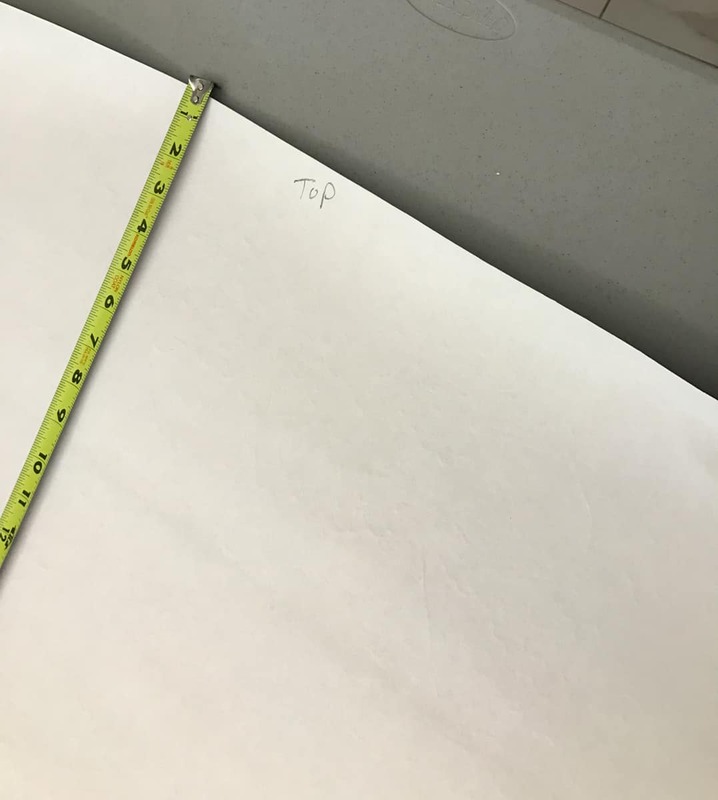 Tip: Softly mark “top” on the back side of your paper to make sure you always hang the correct side up. 3. 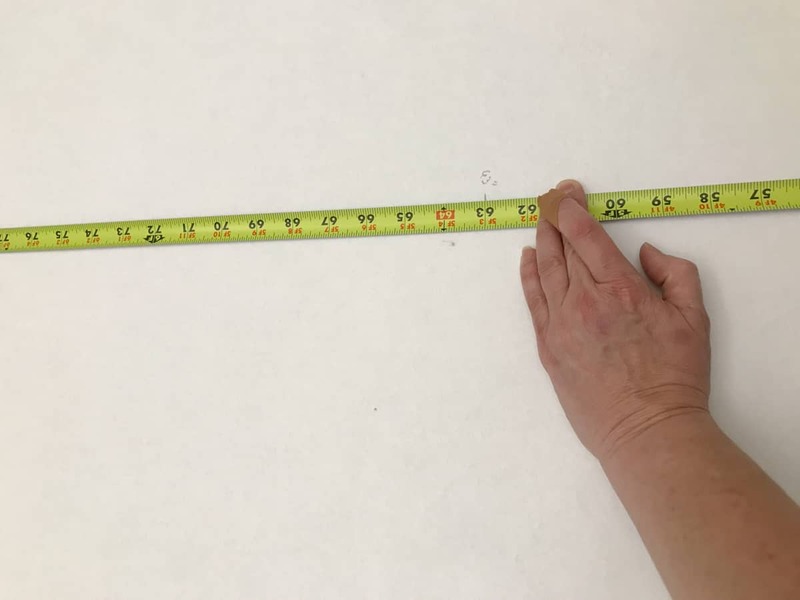 Set up a work table for applying paste and measuring the paper. 4. 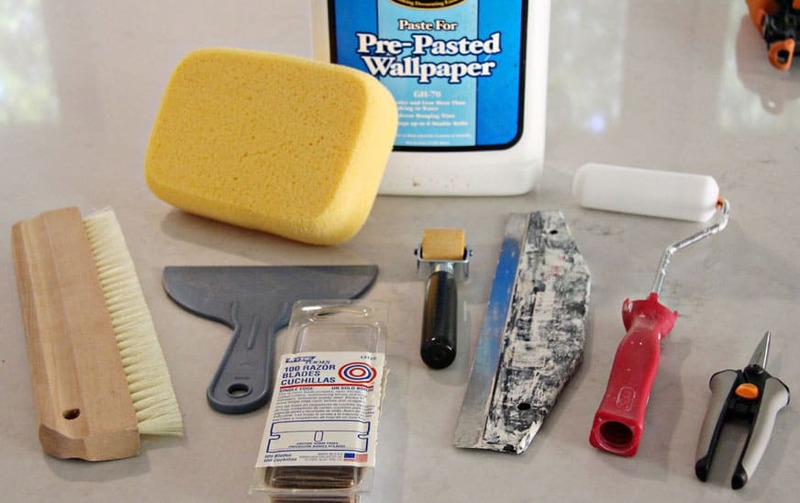 Apply paste to your paper with a roller. You can never have too much paste on an unpasted wallpaper. 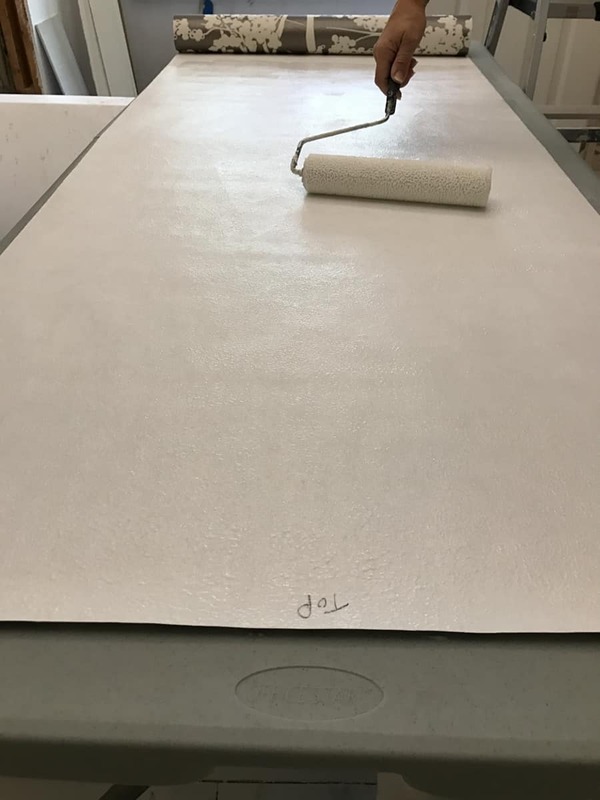 This particular paper was thick and very “thirsty.” Add extra paste to the wall to give it movement while adjusting the drop. 5. 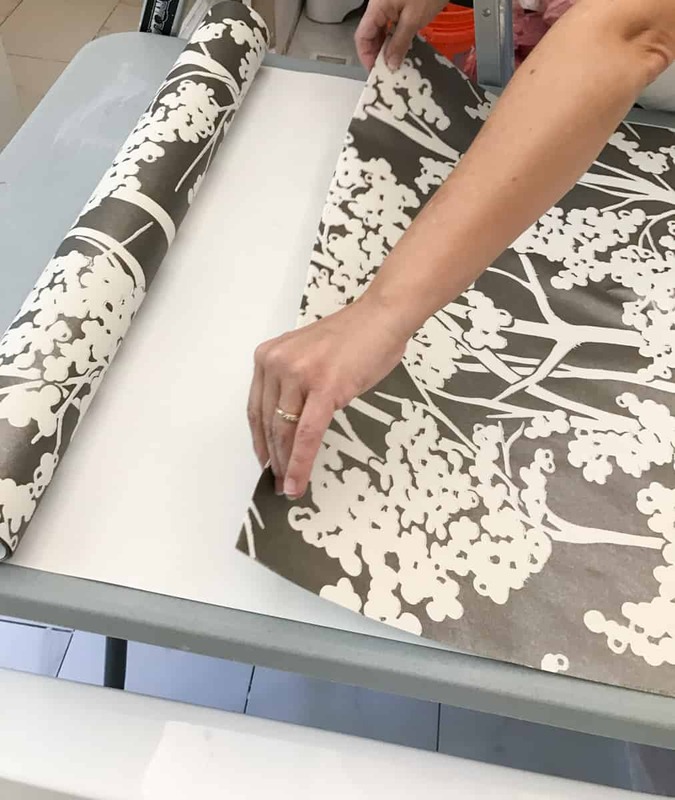 Book your wallpaper so that the glue has time to absorb into the paper and soften the paper. Fold it in thirds so that you can work with the top of the paper while the bottom is folded up. 6. 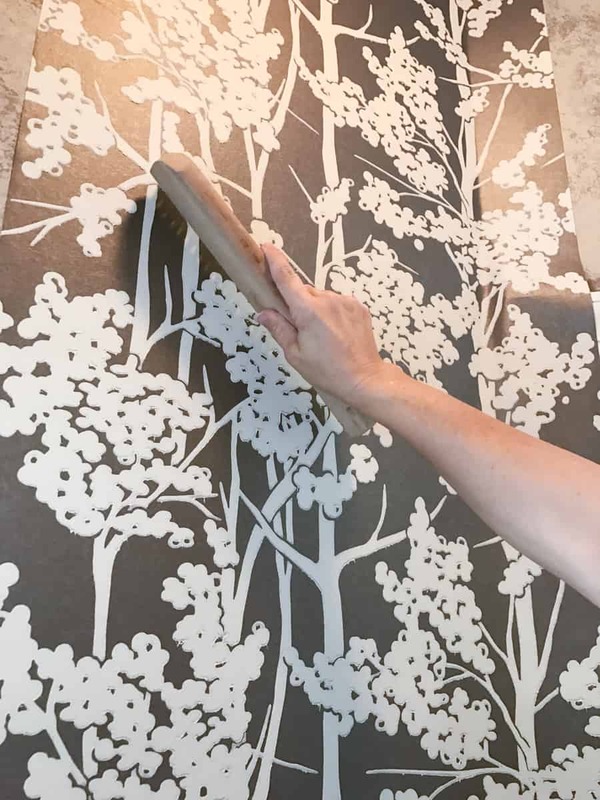 Once the paper is ready, hang the top portion level on the wall and gently smooth out all bubbles with a wallpaper brush. 7. Use a blade to cut around any switches and trim the bottom. Switch the blades used to trim the excess on the top and bottom often. Like every couple cuts. The sharper the blade the cleaner the cut. 8. Wipe, wipe, wipe. 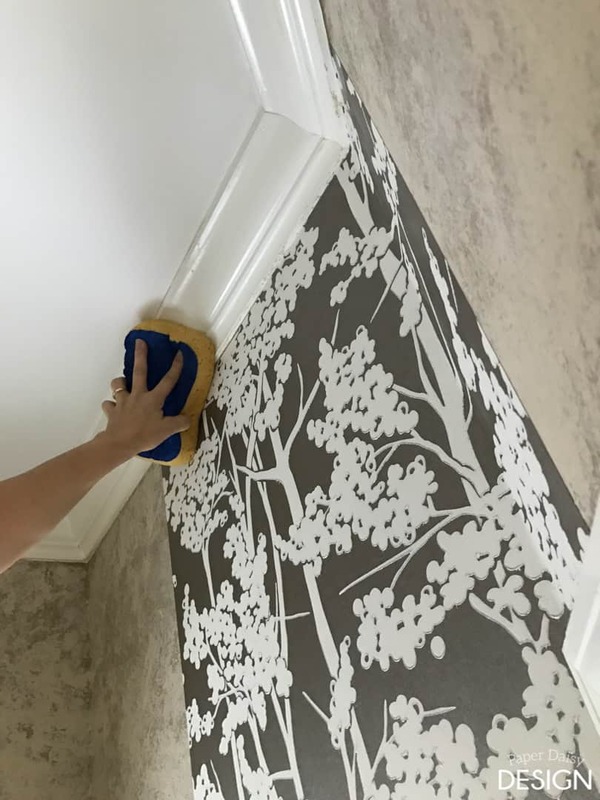 Be extremely diligent in removing all traces of glue from the paper and your moldings. 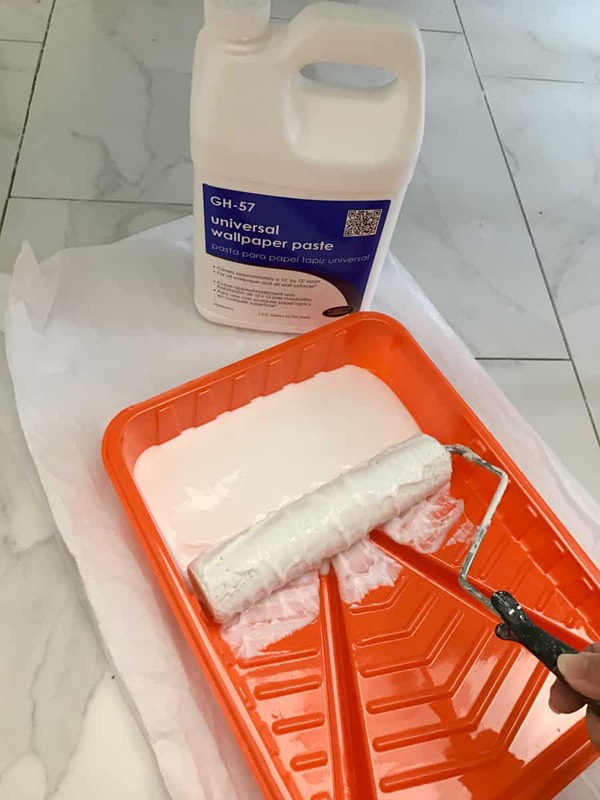 The leftover glue can cause paint to crack. Here is a fun look at the before. Lovely sponge painted wall treatment, no? 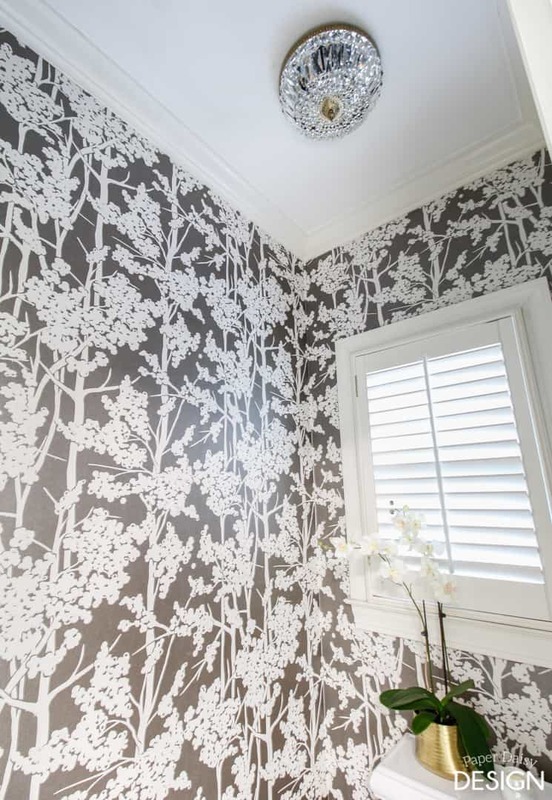 Want to see more amazing transformations with wallpaper? Check out the other talented bloggers participating in this blog hop! 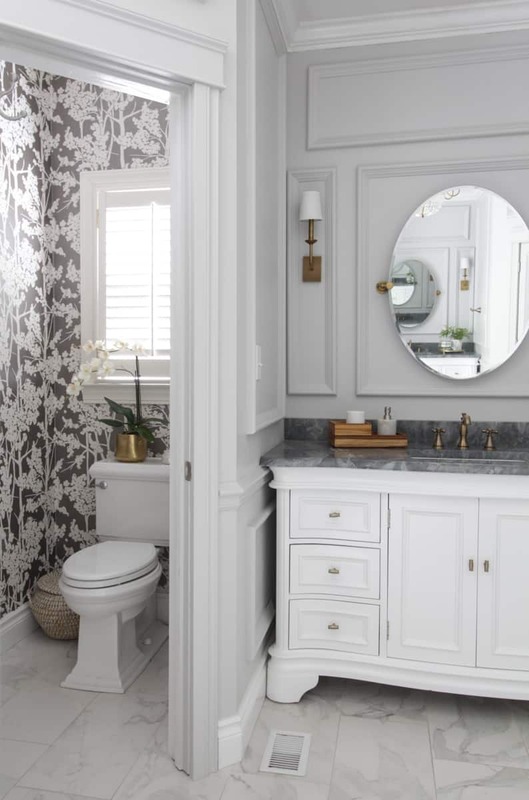 See the rest of this amazing master bathroom renovation here. Thank you to Wallpaper Boulevard for sponsoring this post. I was compensated with free product but all design choices, thoughts and opinions are my own. Amazing!!! This bath is looking so great already! That is one beautiful wallpaper choice! I love the chinoiserie style. I love it and that’s so awesome that you had a friend help you! I love your choice and the bathroom looks so good! Thanks, Yuni! It was awesome to have a friend help me. We are looking forward to a day of shopping and lunch together when this is over. My treat! I love that wall paper! And finding out it was a Candace Olsen design makes me smile just a little bit bigger. The color is resembles a warm pearl-bronze. 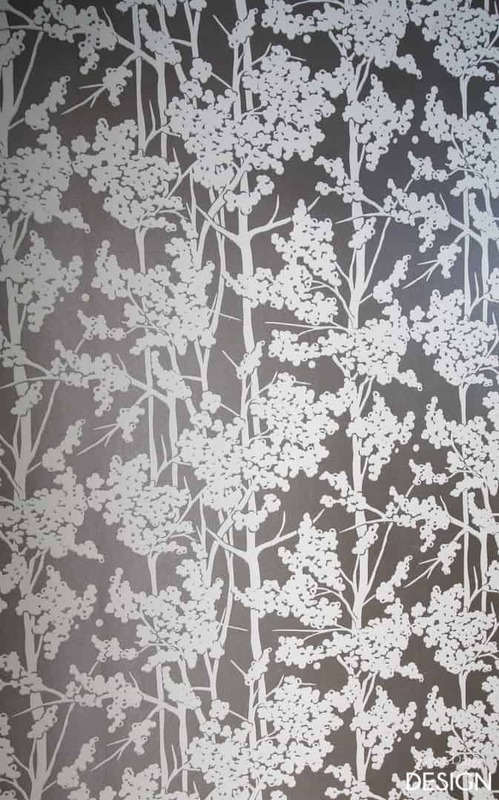 The wallpaper looks a lot like the late season cotton fields of south GA, bursting with cotton blooms! 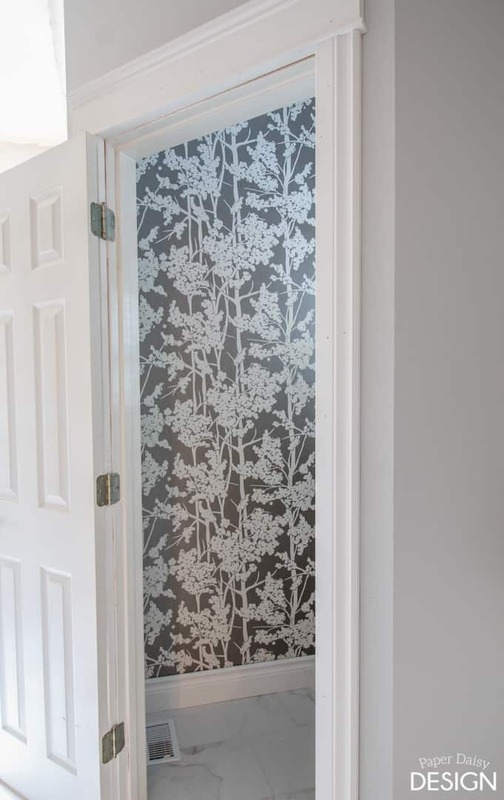 Love the wallpaper! 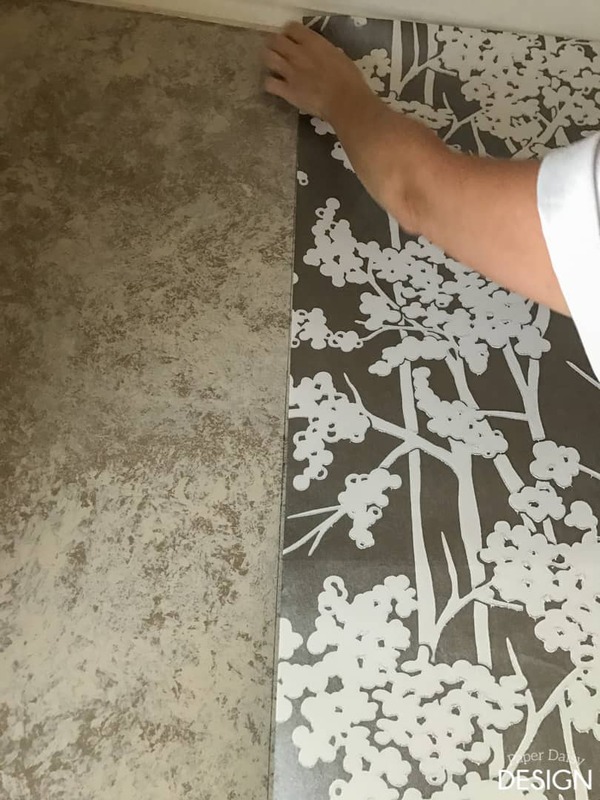 goes perfect with the flooring. Love the chandelier, it’s like icing on a cake. Beautiful.